There are numerous benefits to Omega-3, and this has been pointed out numerous times in studies carried out around the world. 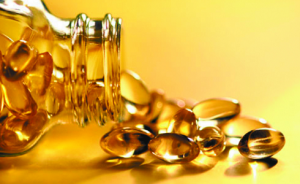 Basically, Omega-3 is a nice word for fatty acids. They are completely natural, and are derived from both animal and plant sources. In an ideal world, we would all eat fish at least a couple of days per week. Natural, healthy fish would balance out our acids, and we would all benefit from it. However, our Earth is in a bad state and wild fish, from the oceans, lakes and rivers, is no longer healthy. Because of all the waste it swims in, you could actually get sick from eating it. So, Omega-3 comes in and replaces what we would get by eating fish. • It is good for your heart. An extensive study showed that people supplementing their diet with fish oils such as Omega-3 are much more likely to survive a heart attack. Men who eat fish or consume fish oils on a regular basis have a 50% lower chance of suddenly dying from cardiac arrest. • It normalises your cholesterol. Studies show that Omega-3 prevents arrhythmia, thrombosis, fat deposits in your arteries, and counteracts inflammation. Some people testify to completely normalising their cholesterol levels after consuming a diet containing Omega-3. And the cholesterol remains at a healthy level even after they stop consuming Omega-3! • It helps your children. Extensive research has shown that children with ADHD (attention deficit hyperactivity disorder) are more likely to have low levels of fatty acids in their blood. This is where Omega-3 comes in, as it has been seen to sharpen concentration. One could say that krill is the number one source of seafood out there. This tiny shrimp-like animal is found everywhere, in every ocean on our planet. They eat plankton, and then bigger fish eat them. We then eat those fish, as do many other animals. 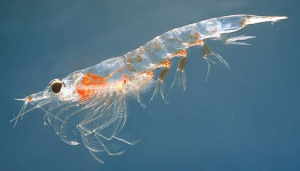 What this means is that krill is basically among the main building blocks of the animal kingdom’s food chain. Humans would not normally eat krill, but their biomass is used for supplementing our diet. Krill oil is the best fatty acid source you can find. Omega-3 usually contains both krill oils and plant oils, which is why consuming it is regarded as the best of both worlds.